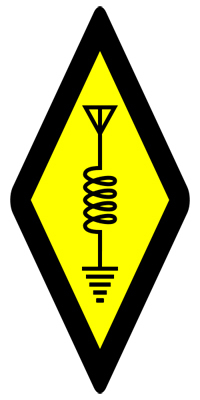 The FCC established amateur radio as a voluntary, non-commercial, radio communications service. It allows licensed operators to improve their communications and technical skills, while providing the nation with a pool of trained radio operators and technicians who can provide essential communications during emergencies. Amateur radio operation is coordinated by the International Telecommunication Union (ITU) and licensed by the individual national governments that regulate technical and operational characteristics of transmissions and issue individual stations with an identifying call sign. Prospective amateur operators are tested for their understanding of key concepts in electronics and the host government's radio regulations. Amateurs use a variety of voice, text, image, and data communications modes and have access to frequency allocations throughout the RF spectrum to enable communication across a city, region, country, continent, the world, or even into space. An estimated two million people throughout the world are regularly involved with amateur radio. Amateur radio licensing in the United States serves as an example of the way some countries award different levels of amateur radio licenses based on technical knowledge. Three sequential levels of licensing exams (Technician Class, General Class, and Amateur Extra Class) are currently offered, which allow operators who pass them access to larger portions of the Amateur Radio spectrum and more desirable call signs.